PTFE high strength glass-fibre coated material. 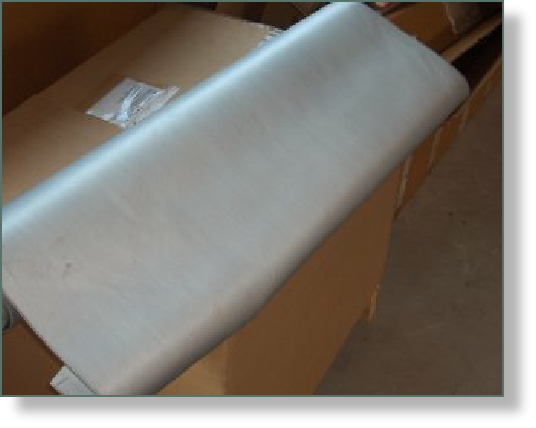 The infeed and discharge curtains, made of high-strength glass-fibre material, do not stick to the packs, and thus cannot damage the film. The glass-fibre material excels in terms of high mechanical strength and lengthy useful lifetime.